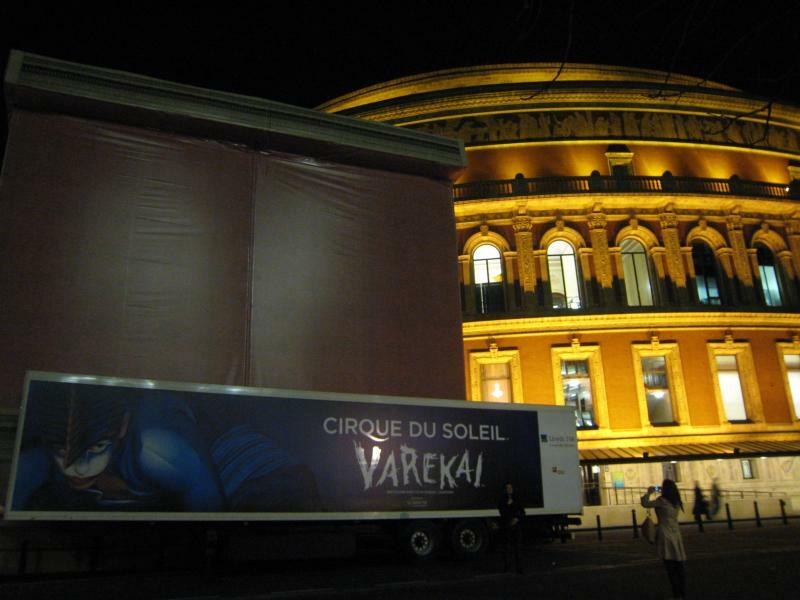 Easily the most well known and creative circus acts in the world, I saw Cirque du Soleil’s latest show in the nosebleed section of Royal Albert Hall on Friday. Although being in a restricted view and seated literally right at the back, the show still managed to impress me on most accounts. Compared to their show, Ka, that I saw in Las Vegas, I have to admit I was slightly disappointed. Don’t get me wrong – the circus acts are all amazing, the costumes and music spectacular, I just don’t think it was as good as Ka. Perhaps it was because they didn’t have the ticket people in character welcoming you into the theatre, they didn’t have people in the audience entertaining while everyone was getting seated, and I still couldn’t really work out what exactly the story was until I read their website. The clown acts were probably the most painful out of the full show. I think my favourite acts were definitely the amazing juggler and the person who did an amazing routine on crutches alone. I’d still highly recommend the show to everyone, especially those who’d never seen one before. 9+ hours of movies, three huge Tolkein books compressed into a West End production? Indeed it’s possible and the current show is very well done as well. Last Thursday I managed to see the latest book, turned movie, turned stage production based on JRR Tolkein’s Lord of the Rings. This show is set in three very compressed, though well timed acts, and broken up by two intermissions. It’s filled with entertaining characters, vivid costumes, finished off with a fantastic assortment of sets and visual effects. I especially liked the how-do-they-do-fly-and-glow fireflies at the start and the disapperance of Bilbo Baggins. Most of the characters were well done though the Dutch-sounding Saruman and the Scottish Boromir sounded out of place on stage. The hobbits really looked the part – even though I’m sure they’re people of normal height, they somehow looked much shorter and stockier in their roles. Gollum, with the hard task of the voice and contortionist requirements did an amazing job playing his role. The Ents towered perfectly over everyone and though the orcs reminded me more of the hyenas out of The Lion King more than anything, still did an okay job. A fantastic show that you have to see before it ends. It’s not like the books or the movie and is definitely a theatre experience worth seeing. The latest musical showing at The Savoy Theatre on the Strand is the apparently popular Porgy and Bess production. It’s set in the 1930s and revolves around the life of a group of African Americans, and the strange relationship that develops between the cripple and beggar, Porgy and wild seductress Bess after the murder of one of the town folk. From a story point of view, it shows the hardship of the poor, and something that I think is a rather tragic story all up. Like most West End musicals, even on a Tuesday evening, the theatre was almost full. The audience was composed of much older people than many other West End shows I’ve been to, probably because I don’t think Porgy and Bess appeals to a much younger crowd. The music is entertaining, with a couple of songs that I’d recognised although I started to find them slightly monotonous towards the end. I can’t recommend this show for everyone although it is something a little bit different. Last Monday I went along to see a comical theatre show called Boeing Boeing. The script is extremely old with a movie released in 1965 with actors such as Tony Curtis and Jerry Lewis. The story is simple with a small cast of only six people based in a stunning apartment in the middle of Paris. It is set in a time when the aviation industry is starting to take off and revolves around the man that owns the apartment and his three flight hostess fiancés (one from America, one from Italy and one from Germany). Things get complicated when a mate of his comes to visit and is let in on the little secret and all while his maid is trying to keep up with everyone’s whims. It’s got some great lines that just keep coming and coming and although some of them are admittedly a little cliché, it certainly kept the audience laughing throughout the entire night. It was so funny that some of the audience were randomly laughing even though the actors weren’t saying anything and it even got to a point where one of the actresses had to turn away because of a fit of giggles. It’s a great show I can recommend to anyone even though the play is coming to an end of its season in London. Last night I finally managed to see the much talked about Lion King at The Lyceum Theatre. The story should be pretty well known since it follows almost exactly the story of the original movie and is filled with the same rich music. The highlights for me included the amazing costumes and devices they employ to help the production including the elephant and giraffe costumes, the lion and hyena masks, and finally the Zazu bird puppet. Almost every part of this musical impressed me except for a few small parts that I thought the director over indulged in their “abstract” interpretation but I still highly recommend seeing it. The songs are moving, the characters bright and colourful and is a fantastic conversion from an animated film to a live performance on stage. Unlike most West End tickets in the UK, tickets for Broadway shows seem to have a great variation with almost all tickets on last minute sites going for several hundred US dollars even though the original price is about twenty to forty US dollars. However thanks to a little hunting around I found a decently priced ticket offered by Razor Gator to see the Oprah Winfrey presented Broadway show, The Color Purple (sorry for the American spelling but I think it’s more correct in this case). At first I thought Razor Gator seemed a little dodgy when they told me to pick up my ticket from a bartender at an Italian restaurant just off Broadway but it all worked in the end and I got my ticket in the nose-bleed section of the theatre. The seat was actually not bad since they hadn’t sold out the entire theatre and there weren’t that many people sitting in front of me so I had a good view of the stage. 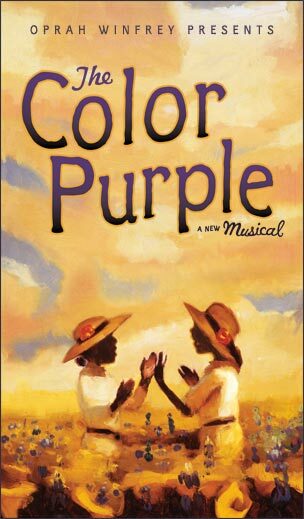 This musical follows the life of a small African American girl as she goes through all the trials and tribulations of living in the early 1900s. We see her mistreated as a child, abused as a wife, make friends with stronger female characters and ultimately triumph over all adversity in the typical heartfelt manner. Unsurprisingly, given the theme of this musical, the crowd was largely composed of large groups of African Americans. The set and the costumes are simple but very appropriate given the setting. The music on the other hand is extremely colourful and the songs are very catchy including that little bit of jazz, bit of blues, a touch of gospel and a hint of ragtime. I’m glad that I saw this show in Broadway as I think it’s most apt played by Americans and the strong appreciation of the audience and it certainly makes up for the last show I saw. New York’s Broadway is well known for its entertainment, so my sister and I lined up at the TKTS booth to get some discount tickets to watch a show. The queue was massive and by the time we got there, they did not have any great seats for well known Broadway shows left, so we ended up getting tickets for something off Broadway downtown called Slava’s Snowshow. Slava’s Snowshow is unlike anything that I’ve seen before. I had no idea what to expect and had I known I would have definitely avoided it. The best description for the show is to call it a clown show set in a winter landscape. Probably most suited for a small theatre and for an audience full of kids, this short show (think an hour and a half already including the twenty minute intermission) failed to really capture any real excitement and laughter from much of the audience. Most of the clown tricks were extremely dull and barely any of them innovative. The clowns’ costumes were at least bright and colourful and that was probably the brightest thing in the show, with the music very cliché or boring and the props not very exciting. I unfortunately don’t have much good to say about this show, because frankly there’s not much in there, and I don’t think you get any value for your money whatsoever. My only consolation is that we didn’t pay at least full price for our tickets. Last night I went along to see the one of the latest musicals to arrive in London – Wicked at the Apollo theatre in Victoria. 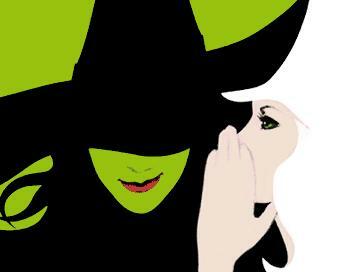 Based on the characters and world set by Lyman Frank Baum’s Wizard of Oz, this musical tells the alternative story of how the Wicked Witch of the West became the person that the movie portrayed her as. The story does well to link in numerous elements from this classic movie, and the writers did well to fill the script with a huge number of one-liners from the movie. The costumes and set are richly colourful and almost excessively over the top. In the first half alone, I’m sure there would have been at least fifteen different set of costume changes, and with many of them very decent replicas of what you might have seen in the original. I thought the costumes of the characters in the Emerald city were probably the most elaborate and most suitable, though all of the costumes throughout were spectacular. I thought the biggest thing that let this musical down was its songs. Although this is a new musical compared to many in London’s West End, I thought many of the songs were a bit too cliché (the numerous key changes, the couple singing harmoniously, and the loud top note at the end) but didn’t really have anything to make it very memorable on their own. I personally would have been happier if this musical was just a play since the script writers are clearly clever people. All of the cast did an amazing job of playing their characters and the original lead, Idina Menzel playing Elphaba (the wicked witch) definitely deserved to win her 2004 Tony Award for her role. The current cast even includes the Antipodean movie actor, Adam Garcia of Coyote Ugly fame who I didn’t recognise until my sister pointed him out. Overall I thought the musical was innovative and fun but it’s a bit hard to justify the top priced premium circle/stall seats. The story, script, costumes and set are amazing but the music was a bit disappointing.